The weatherman was right. We have snow! I love a good snowfall. 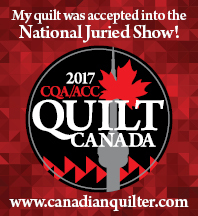 Especially if I am indoors…quilting! All that was left to do on the Civil War Bride block was to embroider a few stems. So now the block is complete! The fabrics are chosen and my freezer paper copies are ready for the next block of Civil War Bride quilt. The tail on this bird is made up of 18 (yikes!) feathers! I can’t think of a better way to spend a snowy day than curling up on the couch, stitching the day away! This block has lots of starts and stops, so it’s a bit time consuming. « Hand-quilting the night away! You inspire me to try hand-applique! Every block is absolutely beautiful! Such a great quilt pattern! Your new block is wonderful. What a beautiful dog! I also love your applique! Thank you! I checked out your lovely blog and see that we enjoy the same sort of quilting!